The walled and moated town of Kazan was stormed by Ivan the Terrible's army on October 2nd, 1552. In August 1552 the young Tsar led a Russian army, perhaps 150,000 strong, to besiege Kazan, a walled and moated town set on a hill. He had infantry, cavalry, arquebusiers, Cossacks and many Tartars, with heavy artillery, which was shipped down the Volga. The Muscovites bombarded the wooden walls with cannon, but to little effect, and infantry assaults were beaten off. Storms and torrential rain blew down the Muscovite tents and turned their camp to mud. This was put down to pagan magic and a crucifix containing a fragment of the True Cross was brought to the scene. There was no more bad weather after that. The siege dragged on and when Tartar prisoners were tied to stakes close to the walls in the hope that their pleas might persuade the defenders to surrender, the Tartar bowmen silenced them by shooting them. Sappers dug tunnels under the walls and exploded mines, which knocked down sections of the defences and blew up the town’s water system. After almost six weeks, the order was given and Ivan’s men stormed the town, the tsar himself continuing in prayer for a victory close to the point of disgracing himself as a coward. The Tartar defenders were overwhelmed, many were slaughtered and Kazan was put to the sack. Ivan returned to a hero’s welcome in Moscow and the news that his wife had borne him a son and heir, though the little boy did not live long. In Kazan the Muslim population was expelled and Russian colonists were moved in, mosques were replaced by Russian Orthodox churches and the Tartars of the surrounding country were pressed to convert to Christianity. 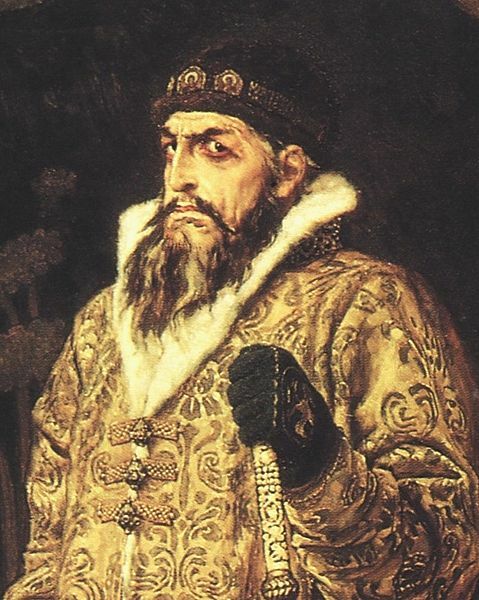 Four years later, in 1556, Ivan annexed the Khanate of Astrakhan, further south-east, which made the whole Volga a Russian river and gave Muscovy complete control of the important trade-route to the Caspian Sea.